I loved having the opportunity to work with you on this wonderful and exciting project. Your insight, wisdom and experience are a tremendous asset and compliment my work beautifully. 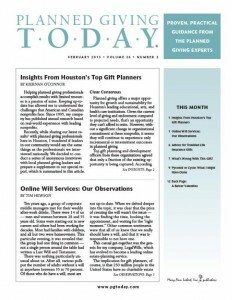 When Is the Time to Start an Endowment? Based on a workshop that Deborah conducted for the Community Foundation for Greater New Haven, she answers the question, “When Is the Time to Start an Endowment?” on eJewish Philanthropy. Deborah’s article, “The Stranglehold of the Annual Campaign” was posted on eJewishPhilanthropy, September 16, 2016. 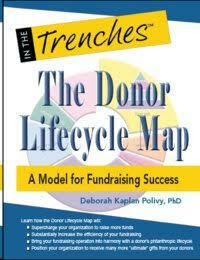 Are You and Your Donors Ready to Talk About Endowment? Deborah will be giving a workshop for The Community Foundation for Greater New Haven on October 19 entitled “Are You and Your Donors Ready to Talk About Endowment? Understanding Annual, Capital and Endowment Gifts“. Deborah’s article, “A Response to ‘Six Main Reasons Fundraising Fails’ or the Travails of a Development Director” on eJewish Philanthropy strongly resonated with readers. She was inundated with emails and inquiries based on the content. You might want to read it if you have not or review it again if you have. Deborah has been working with the Jewish Senior Life Foundation in Rochester, New York, to help the organization design its endowment policies and procedures, to produce a terrific marketing booklet and to create a strategy for using the brochure. Deborah will be interviewed by the folks at Cause Planet on May 28. “Pyramid or Cycle: What I Might Have Done,” Planned Giving Today, forthcoming, February, 2015. The “Ask” – A “How To” Prepare and Succeed in a Personal Solicitation for a Gift, a workshop for the Community Foundation for Greater New Haven on April 22, 2015. 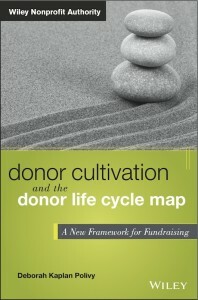 “The Donor Pyramid vs the Donor Lifecycle Map: Which Makes Most Sense for Fund Development,” to be presented at the North American Jewish Day School Conference, Philadelphia, March 8, 2015 and the Planned Giving Group of New England all day annual meeting, Boston, May 6, 2015. Deborah will lead two workshops for NeighborWorks America: “Underdeveloped: Challenges Facing Nonprofit Fundraising” October 27 in Sacramento, California and “The Role of the Executive Director in Creating a Culture of Philanthropy” on December 10 in Washington, D.C.
How Do You Measure Development Success?